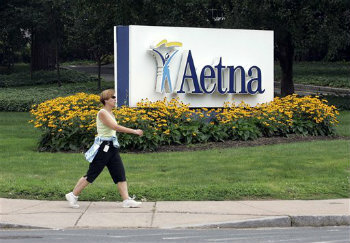 The Hartford-based Aetna Life Insurance Co. has informed state insurance officials that it has withdrawn from Connecticut's health insurance exchange, which is poised to begin open enrollment this fall. HARTFORD, Conn. (AP) — The Hartford-based Aetna Life Insurance Co. has informed state insurance officials that it has withdrawn from Connecticut’s health insurance exchange, which is poised to begin open enrollment this fall. Companies are waking up to the impact of mental health on business goals and putting strategies in place to improve.